If you had a look at Mark Bittman’s recent New York Times column about potato gnocchi, this post is for you. Mark and I are old friends from his Cook’s magazine days when we worked on some stories together. 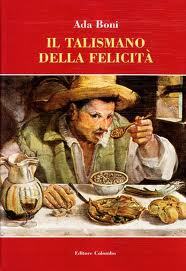 Since then, you and I have seen him on a dazzling journey in the world of food. He’s no slouch when it comes to cooking Italian. 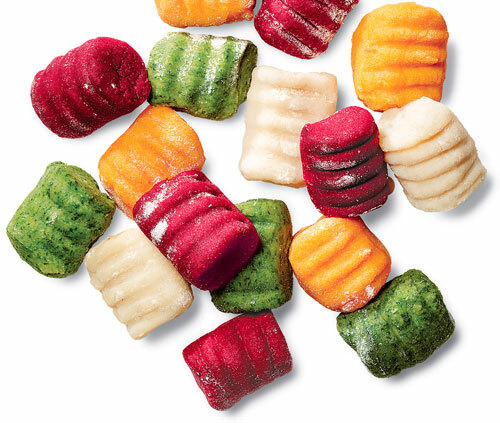 But about gnocchi specifically, and his recent article with Mario Batali… some input and insights—I’ve been on my own journey with the little dumpling. Continue reading and you’ll find how my own potato gnocchi (gnocchi di patate in Italian—pronounced NEE-AUCK-KEY) have evolved from the traditional recipes in a few ways. Like Mark and Mario and many inventive modern chefs, I might make them of a different color. But I’ve stuck to tradition in one way—I always hollow out the little dough cylinders to ensure that the dumplings are as light as they can be. 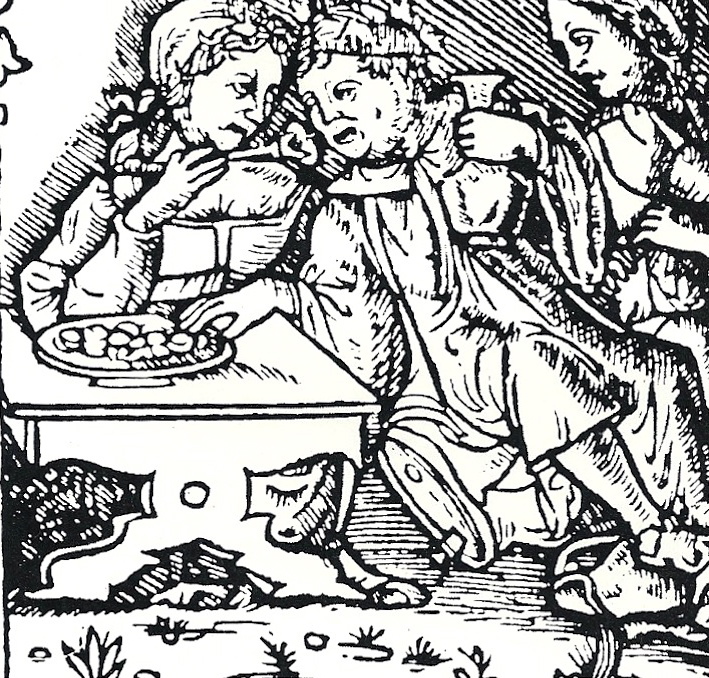 Before potatoes were introduced into Italian cooking, gnocchi were made of flour and water—let’s say that t’was was a heavy affair. 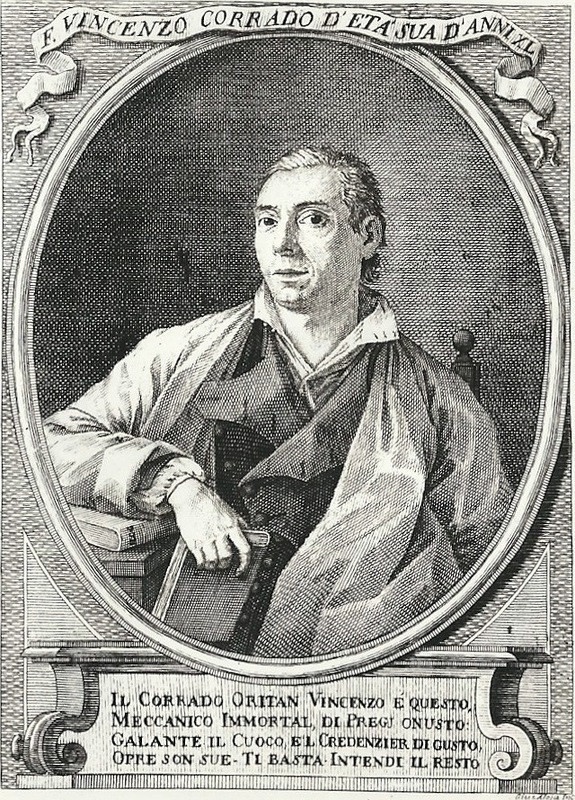 F. Vincenzo Corrado, the first to write about using potatoes as human food, the first to publish a recipe for potato gnocchi. Mark’s master recipe is another matter, a classic—identical to the streamlined, lighter modern version that you find in Italian culinary bibles like those of Ada Boni, Luigi Carnacina and Luigi Veronelli; in books by Marcella Hazan—and, in all of my own cookbooks. For ethereal and pillowy potato gnocchi, three ingredients are prescribed: starchy-variety potatoes, flour, salt. 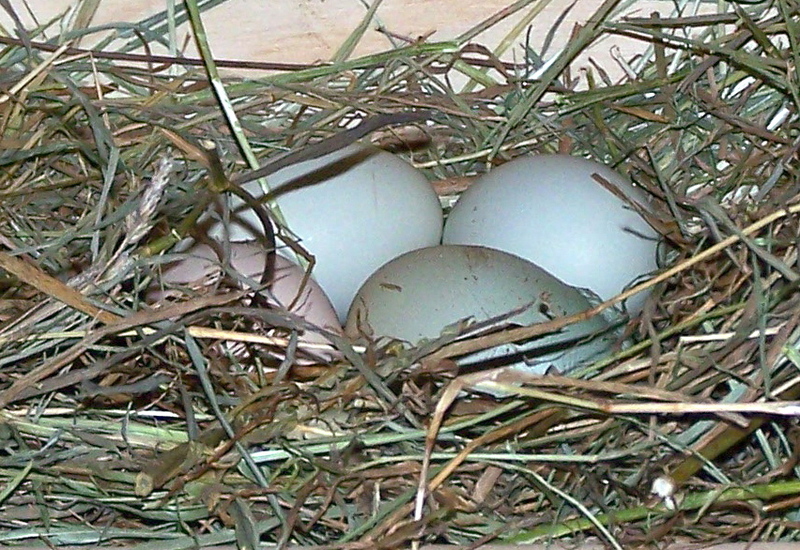 Egg in the dough–or not? Most Italian recipes for potato gnocchi call for the addition of eggs, [which] makes the dough easier to work with by binding the ingredients, but also makes it necessary to add more flour to absorb the [added] moisture. The more flour, the heavier the dumplings. The sans-egg approach is culinary wisdom that’s been handed down for generations; it’s how I saw the Italian grandmothers working in the back rooms of family trattorie across Italy turn out gnocchi; and how the best Italian home cooks and professional chefs alike approached the little potato clouds. 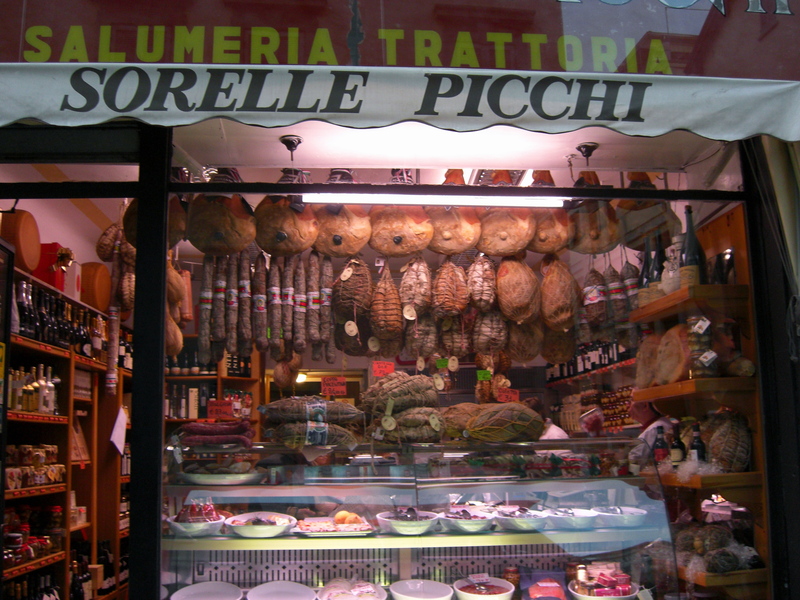 Like at Sorelle Picchi (Picchi Sisters) in Parma, a trattoria I love, where you’ll find the women in the kitchen making the gnocchi. Photo: Julia della Croce. Today, I eat my words, the result of watching beautiful little potato gnocchi break in the cooking water several years ago on the occasion of my daughter’s birthday. Yes, potato gnocchi, probably my 100th batch made over a lifetime, dissolved into one lugubrious mess. Did I skimp on flour in the grip of an obsession to produce the lightest possible gnocchi? No doubt. What of forming and test-cooking one or two (like I tell my students to do) before plowing through the entire ball of dough? Mea culpa. But it was a cruel lesson. Ever since then, I’ve been putting egg in the dough—and liking the results: richer flavor, less floury texture. And, never again have my gnocchi melted away! One more departure from tradition—and another about-face on my own past advice. There are two categories of white potato that all cooks recognize (let’s leave the matter of sweet potato gnocchi for another day). 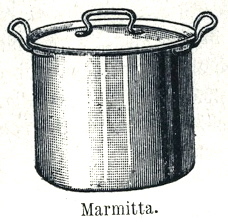 The moist, “waxy” variety like Red Bliss and White Potatoes are suitable for mashing, roasting, and boiling, and for potato salads. The floury type, like Russet or Idaho is what we always told you to use for potato gnocchi. Now I use the Yukon gold variety because it has such a pleasant, buttery flavor and sunny hue, and I think, a more delicate texture. With the egg worked into the mixture, the dough holds together nicely and the resulting dumplings are less starchy in the mouth. Roll a piece of the dough into a rope about 1/2-inch thick, then cut the rope into 1/2-inch lengths. Score each piece by rolling it along the tines of a fork; as each piece is ready, put it on a baking sheet lined with parchment or wax paper; do not allow the gnocchi to touch one another. HALT! BACK UP! YOU ARE NOT DONE YET! It’s how you roll out the 1/2-inch lengths of “rope” that creates hollows in the little cylinders. Those ridges you make with the tines of a fork (or a wooden butter paddle, or along the the holes of a cheese grater) are not just for decoration. The dumplings need to be dragged (strascinati [strah-shee-NAH-tee] in Italian) along those tines/ridges/grater holes, then, flipped with the active thumb to hollow them out. 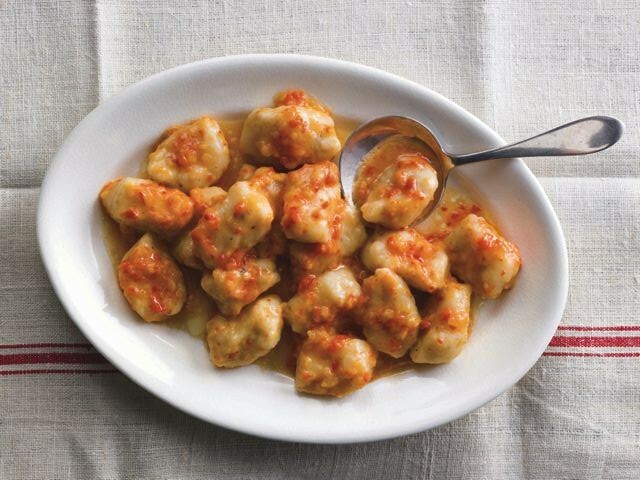 The resulting craters in the dumplings serve to thin out the miniature tootsie-roll shapes, making the gnocchi lighter and forming nooks and crannies that will cup little pools of sauce. So here you have it, the ins and outs of making the lightest, fluffiest little potato clouds ever. In bocca al lupo, as the Italians say–good luck. It’s not very difficult if you follow my advice! Classic gnocchi di patate, potato gnocchi. Here’s the recipe for potato gnocchi that has evolved in my kitchen–originally published in my first blog post about a year ago. 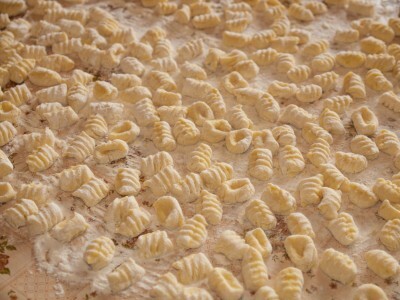 There’s an instructive video and a terrific heritage sauce recipes for topping the gnocchi. Or, if you prefer, for the simplest of all sauces, try this homey, quick and chunky salsa di pomodoro. Besides using it over gnocchi, it’s suitable for dried or fresh pasta dishes. P.S. Notice anything odd about the photo below, taken at the Williams-Sonoma studio when those recipe testers were making my very own potato gnocchi recipe while I was 1,000 miles away, puttering around in my own cozy kitchen (I’m afraid that’s how it works sometimes in the cookbook publishing world)? Yup! THEY didn’t hollow out the gnocchi, either. So, Hungry Reader, now you know why I wrote this post! 1. Drain the tomatoes, reserving their juice. Using your hands or a potato masher, crush the tomatoes well. Set aside. 2. In a cold saucepan over medium-low heat, warm 2 tablespoons of the olive oil and the garlic together, and sauté until the garlic is soft but not colored, 3 to 4 minutes. Add the tomato paste and stir; then add the tomatoes and their strained juice. Simmer over low heat, uncovered, until enough of the liquid evaporates to form a sauce that will coat a spoon, about 25 minutes. Tear the basil into small pieces and stir them into the sauce along with the salt. Simmer for another minute or two. Remove from the heat and stir in the pepper and the remaining 1 tablespoon olive oil. 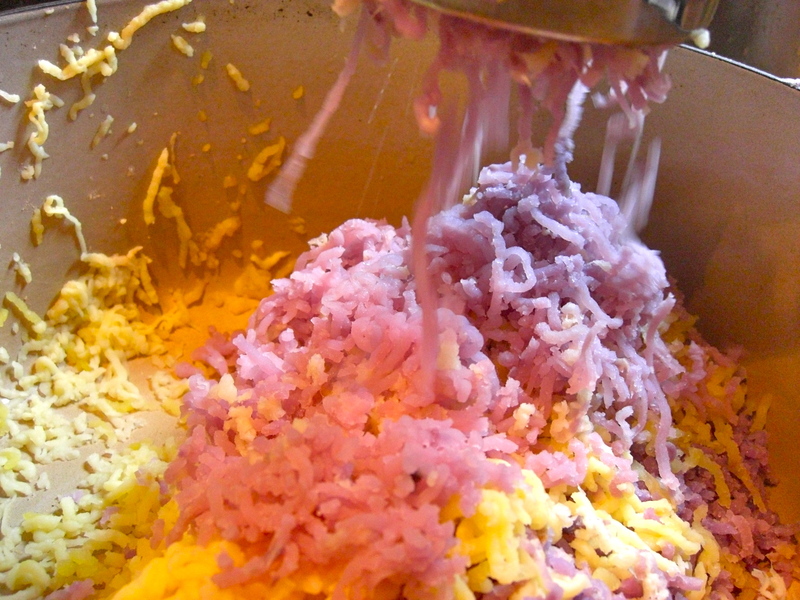 Variation: Substitute 1 small red, white, or yellow onion, chopped, for the garlic. Ahead-of-time note: The sauce can be made 4 to 5 days in advance of using and stored tightly covered in the refrigerator, or it can be frozen for up to 3 months. Whether storing it in the refrigerator or freezer, leave out the basil, pepper, and last tablespoon olive oil. Stir them into the sauce after reheating. Delicious! Can’t wait to make these and do your paste first sauce.I have always put tomatoes in first, but this makes more sense. My recipe–same ingredients–comes from a lady named Virginia who lived in our walk-up on Bleeker Street. Virginia would sit in her doorway all day, at a little table w. a quart bottle of Reingold beer. As we ‘d come up the stairs she’d ask us what we were cooking for dinner–and then tell us, in English heavily laced w Italian, how to do it. She’d make us repeat the recipe before we could continue upstairs. Yes, I should have recorded her. Who knew in 1974 that it was the end of an era. Now, this little tale deserves a post all on its own! What a rich picture! Stories like that warm my heart and make me a bit sad too. Wouldn’t it have been wonderful to have committed a few of Virginia ‘s recipe renovations to paper (since it was 1974) film? They would be so informative to watch, giving, as I am sure they did, an insight into what informed VIrginia’s cooking. I just think of my grandmothers and their friends and the wealth of culinary knowledge that passed from this world with them. How I wish I had thought to collect their stories and recipes! Thanks, Darcy, for a wonderful image. There is something awry with how you Forktales e-mail comes through. The text is too long across the page and the first photo is hidden. When you click on the Forktales logo it takes you to the website where all is fine. This has happened in previous issues as well. Otherwise lovely post! I love the mix of history. For the benefit of my other readers: When you get my blog via RSS feed/subscription, you’re not actually fully in the post. Hit the banner, “Forktales” at the top of the page and it’ll take you into the post with proper formatting. Please let me know if you’re having problems with this! I am with you all the way, but MY best discovery after having to go gluten-free is that when you make gnocchi with a good gf “flour” blend, there is no danger of heaviness or glue-y texture. There aren’t many good things about having to go gluten free after a lifetime of good eating, but happily the quality of gf gnocchi has turned out to be an unexpected benefit. Good for other readers to have your experience with gluten-free gnocchi here, Deborah. I appreciate it. Thanks Julia. Agree with everything except using Yukon Gold over an Idaho Russet Burbank. The Yukon Gold is a medium starch potato and the additional water content makes for a wetter end product, needed more flour to dry out. I thnk the mistake most people make with the Russet burbank is to boil it whole, cutting into even sized chunks and boiling makes a much more consistant potato. I’ve tested with Russet burbank by steaming, baking, and boiling and still preferred the results using Yukon Gold-types for the reasons I mentioned in the post–and really prefer the results. I’d like to talk with you more about this, and test more for a follow-up post. Thank you for a wonderfully informative article. I particularly enjoyed the historical references. Lots of people have written about gnocchi, but your article is so rich with history and background, it is in a class by itself. Thanks! Julia – What a great blog!!! This is full of info and your voice, great photos and personal touches…I love it! So when are you demonstrating technique? On TV? 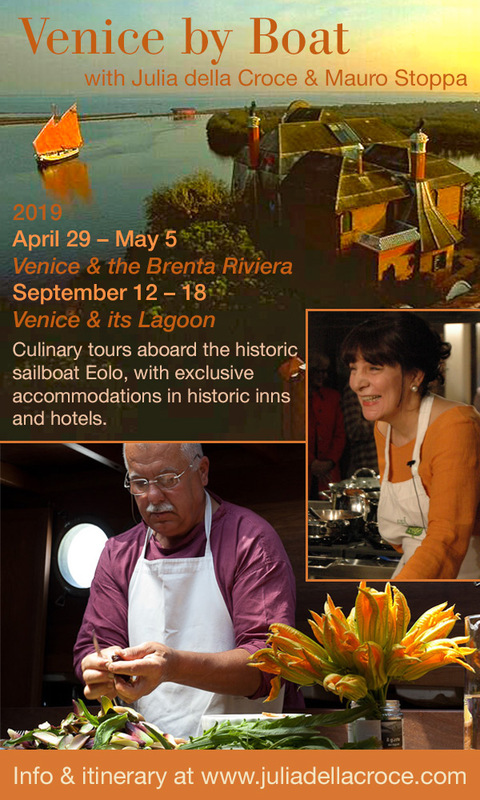 At cooking classes? At my house? At least two of the above, in good time! Julia, here are my two cents on the subject to you and Mark. Well……..Gnocchi, translated in English is “dumplings” Then: Gnocchi di semolina, (Roma) gnocchi di pane, (Knodeln, Alto Adige) or Stangolapreti (Napoli) Gnocchi with spinach (Malfatti, Toscana) and more…..So we must first understand that the word Gnocco (Singular) or Gnocchi (Plural) refers to various Dumplings preparations the most popular being the Potatoes Gnocchi. In Italy Gnocchi are made with old potatoes because they are less starchy. Starchy potatoes makes the dumpling gluey. Potatoes are boiled peel on, when done they are peeled and crushed when still hot/warm to allow the moist to evaporate. Most Italian chefs use an egg yolk or two for 1 KG of potatoes, (I prefer one) and try to make the gnocchi as close to dinner time as possible.. 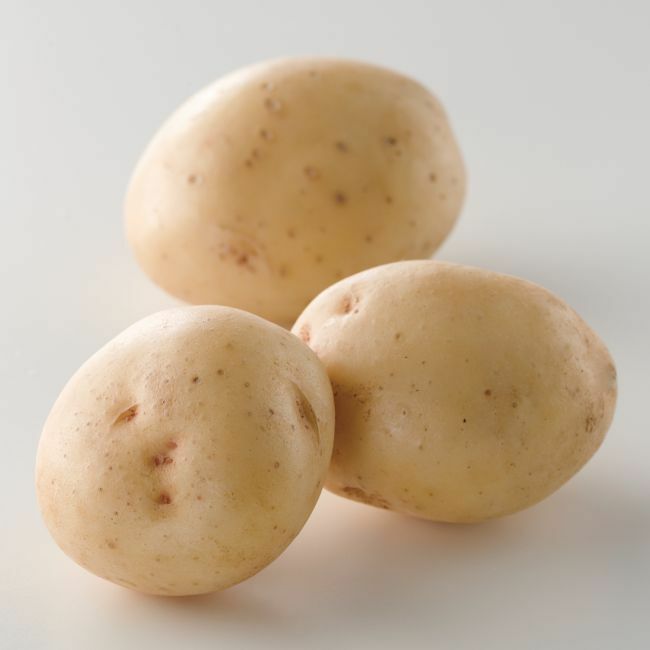 In my restaurants and at Sd26 we have always used and continue to use Idaho baking potatoes. Thanks for this, Tony, comments from a master are always welcome. 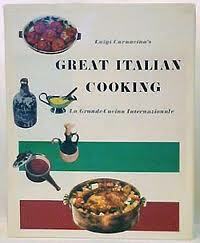 I would add that varieties of Italian potatoes are different from those grown in other climates. Certainly the flavor of gnocchi made from Italian potatoes are more intensely potato-y, I’m sure you’ll agree. 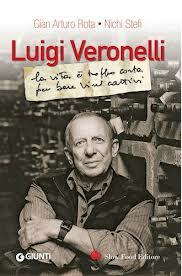 And here’s to Angelo Paracucchi, who was also a mentor to me. You’ll see I started to recommend adding an egg to the dough after a particular batch of gnocchi disintegrated in the water for the first time in my gnocchi-making life. The proportion of egg and flour I now recommend in the recipe produces light gnocchi even with the addition of an egg. Lovely to hear from you, Sonja.